Mr. DiTullio currently serves as the Business & Outreach Team Lead and Head of The Office of Research and Technology Applications for the U.S. Army Natick Soldier Research Development and Engineering Center (NSRDEC) in Natick, Massachusetts where he is responsible for technology licensing and external collaborations, International Programs, SBIR and the Small Business Office. Mr. DiTullio brings 20 years of experience in identifying opportunities and matching them with capabilities. 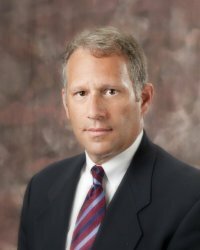 Prior to joining NSRDEC Mr. DiTullio served as Director of Business Development for Bionaut Pharmaceuticals where he was responsible for the licensing of technology and therapeutic programs. He previously held advancing positions at Massachusetts Biomedical Initiatives, most recently serving as Director of MBI’s Technology Commercialization Center, responsible for providing technology licensing and IP management consulting services to research institutions and start-up companies. Previously, Mr. DiTullio held an academic staff appointment as a Technical Instructor in the Department of Aeronautics and Astronautics at MIT. Mr. DiTullio holds a B.S. in Mechanical Engineering and a M.S. in Environmental Science from the University of Massachusetts, Lowell.